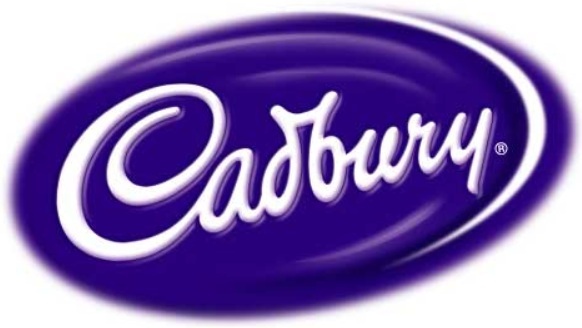 Well folks, it looks like we’re one step closer to dehydrated water with Cadbury recently announcing that they have developed chocolate which won’t melt. Apparently these fine English craftsmen have figured out how to break sugar down into much smaller particles allowing less fat to cover them thereby making the chocolate heat tolerant. This type of innovation is an excellent option for backpackers as chocolate is one of those calorie-dense foods which just happens to be highly desirable. Unfortunately, Cadbury is marketing this product only in exceptionally warm climates such as India and Brazil. Hopefully Cadbury will see the error of their decision as I think the rest of the world wouldn’t mind another chocolate option as I’m guessing only a truly spirited backpacker may choose to make India and Brazil their next backpacking destination. Have you ever have one of those trips where nothing seemed to go right? Perhaps you lost gear, lost yourself, broke gear, found yourself cold or wet, etc. Have you ever been the weakest link? I’ve been fairly fortunate over the years and with the exception of an injury here and there, I never really experienced a trip which I would label as bad or a failure and I can’t say I was the problem child. Well, I can’t say that anymore after a recent 4-day trip. Always looking to learn from just about anything, I’ve come up with a fair number of problems I encountered which I believe compounded causing a less than ideal trip. As I’ve mentioned previously, I generally don’t write about my trips because I assume most people aren’t interested in reading how I put one foot in front of the other. As an exception, I figured perhaps my readers may find this entertaining and I may get the opportunity to release some frustration. A fairly new church friend asked if I’d like to join he and his buddies for a 4-day trip to Dolly Sods WV in early November. Dolly Sods and Grayson Highlands are probably the two most well-known wilderness backpacking areas in the Virginia/West Virginia vicinity which are both extremely wild and not heavily trafficked. Personally I had never been to “the Sods”, but immediately jumped on board when offered the opportunity despite fairly short notice. When I’ve organized hikes in the past, I felt a personal responsibility to distribute names and contact information for all hikers to include an emergency point of contact. I also want to ensure everyone knows the entry and exit locations as well as the complete itinerary when possible. I take the time to look at a map, understand topographical challenges and concerns, and I study trends in the weather as well as current conditions. I vocalize this to everyone. I also provide a copy of this information to my wife. These steps take little time, yet collectively they mitigate a certain degree of risk while also minimizing emotional concerns from family. There is risk to just about everything and backpacking is no different. As a responsible adult, father, husband, employee, friend, and group leader at times, I feel it is my obligation to do these things and they are as familiar to me and part of my general preparedness as just about everything else. It’s just a step to the backpacking experience as far as I’m concerned. For this trip, I realized quickly that the way I do things were not the way everyone does things. Dolly Sods is notorious for offering few accurate maps. Some are better than others, but surprisingly there is no one set of comprehensive and accurate maps. Secondly, trails are not marked with signs or paint on trees, but rather “cairns” (a small pile of stones a foot or two high). When I asked about the itinerary, I was greeted with shoulder shrugs until about a week out when I got a very loose summary which included trail names that weren’t entirely accurate and some which were omitted entirely. I was also not asked for my contact information or that of my wife, but I provided it anyway with a statement saying this information would be good for everyone to have hoping that would motivate an exchange of information. I didn’t receive a reply and I’m pretty sure my contact information was left at the bottom of an e-mail inbox. The group leader mentioned two water crossings if I recall. When I looked at my map, there was something in the neighborhood of at least nine as I read the contours. Let’s just say we weren’t all playing with the same deck of cards. This didn’t concern me much because my friend from church knew how to get in contact with my wife and my wife knew how to get in contact with his wife who also would know how to get in contact with the rest of the group. With the exception of me, everyone was very close and had been hiking together for years. The itinerary, while loose, was sufficient enough to find on a map and understand parking, the planned circuit and planned stops. I knew what was happening and I even made my friend a map with highlights of water areas as he was fairly new to backpacking and I figured he might find it useful. One thing we all mildly considered is the fact that Hurricane Sandy had passed through the area a week earlier and the news reported the Dolly Sods area received a dumping of snow in the neighborhood of 2-3+ feet. I had found a website with some extremely helpful sky views showing the area. On the northern-facing part, there was “white” in the mountains. In the southern-facing part, there was nothing irregular. I was told we were hiking in the south, which I only later learned meant “southern Dolly Sods” instead of the south-facing part of the mountain. This was a critically important element to misunderstand. Looking back, I’m not sure if those I was hiking with understood my references to the importance of a southern versus northern exposure when snow was a possibility. Based on the gear we all had, it was pretty clear no one was planning on snow or any sustained snow. The drive in was far longer than expected. Instead of getting to the trailhead at 2pm, we arrived at the base of the road leading to the trailhead after 4pm. There was about 6” of snow on the ground at the base which was pretty telling. This was also the point where I realized we were not on the southern exposure. When I asked again, I was told that the actual trailhead would be south and we needed to drive through the north (and the snow) to get to it. We started up a gravel road which was fairly clear for the first mile, then clearly unmaintained from that point on. There were obvious signs of one, perhaps two cars having made the trip up before us, but no more. We started spinning out fairly quickly at this point. In another surprise, I learned the Toyota pick-up we were in was only two-wheel drive. This instantly became a problem despite admirable efforts from the driver. The tracks in the road began showing equal signs of slippage, spin outs and general failures to climb the mountain. Eventually I found myself standing on the bumper, then ultimately sitting on the tailgate trying to help us gain traction by putting some weight over the rear drive wheels. Others later joined. With each jolt, I found myself easily realizing how quickly I could end up under the truck and get run over as I couldn’t get out of my own way. It was fairly dangerous when the snow started approaching two feet and sticking my legs straight out only barely helped them from getting caught on the drifts. As this was all happening, I started openly discussing options as we were still a significant distance from the proposed trailhead which I argued would be even more snowy and impassable. We also had no guarantees that the truck would even get there, remain safe, be able to get back, and the reality was that none of us had really planned for a “snow” hike. I should also mention that there is a huge difference between hiking in falling snow, a few inches, and a few feet. We were looking at 2 feet at this point, and I assumed at least another foot lay ahead. The hurricane also seemed to have destroyed the forest with many trees bent completely over with their tip touching the ground or flat out broken. Walking through the forest would definitely be even more difficult than driving and finding the piled rocks identifying the trail would be nearly impossible. At one point, someone mentioned even leaving the truck and seeking shelter in an abandoned shack off the side of the road. Oddly enough, that seemed a bit welcoming merely for the adventure of it. To make a long story short, and it took some motivating, everyone finally agreed that the “con’s” outweighed the “pro’s” for continuing upward. Instead of pressing our luck and very likely driving off into a ditch or off the road ledge, or at minimum getting stuck entirely, we decided to head back down the mountain and head for the only other entrance that our group was aware of. Having never been there before, I relied heavily on the group, especially the vocal leaders, to lead us to a sensible location suitable for the conditions we planned to encounter. After about an hour of driving and following sunset, we found the trailhead. It was next to a river and started in the valley. There was no road we needed to drive to get in which was good. The problem is, generally speaking, this trailhead looked exactly like the other - an abundance of snow which would only deepen on the north sides of the mountains and with elevation. Fully understanding I was a guest and not really having a close relationship with everyone, I tried to keep my personal opinion under control. My thoughts were simple. This was not the hike any of us planned on. In fact, I distinctly remember my friend saying something like “the trip will be about 8 miles a day, temperatures in the 60’s, mostly flat, lots of good times around the campfire, etc.”. It’s hard not to look forward to that picturesque description and I like to think I'm plenty flexible even if this wasn't entirely the case. The reality was far different however. This was a 4-day trip in which we really didn’t have the appropriate gear. None of our family knew where we were as we didn't have cell reception for the last hour and let's just say individual maps weren't really in our grubby hands. We were ripe for a potential problem and ripe for no one knowing we may need help if something did happen. My advice was to simply find a local campground or cheap hotel and spend the night, then the following morning we’d head to one of the dozen of other hiking opportunities in the very close proximity which didn’t have snow and have the hike we all thought we were going to have. It was made clear to me that leaving the area wasn’t an option. We were hiking the Sods. It was 8pm or so, pitch black, and we were faced with two feet of snow and no obvious trail due to the destruction of the forest from the hurricane. We put on our headlamps and marched into the night each of us stumbling and bumbling quite foolishly as bush-whacking tested the durability of our gear which was another unexpected element. I do not like intentionally destroying my gear. After about a mile of hiking we found what we thought was a camp as we could see a depression from what we believed to be a sizeable fire ring. After some digging, we found the fire ring and one of our members was able to get a fire started as the rest of us gathered wood. This act of starting fires and working together for wood was a theme of the trip which I appreciated very much. While I was clearly having doubts, the others in the group seemed to be taking it in stride. I'm not sure if they knew more than I did, but I kept thinking - 4 days....in this? I had purchased a 500ml stove set from LiteTrail earlier a couple weeks earlier for this trip. 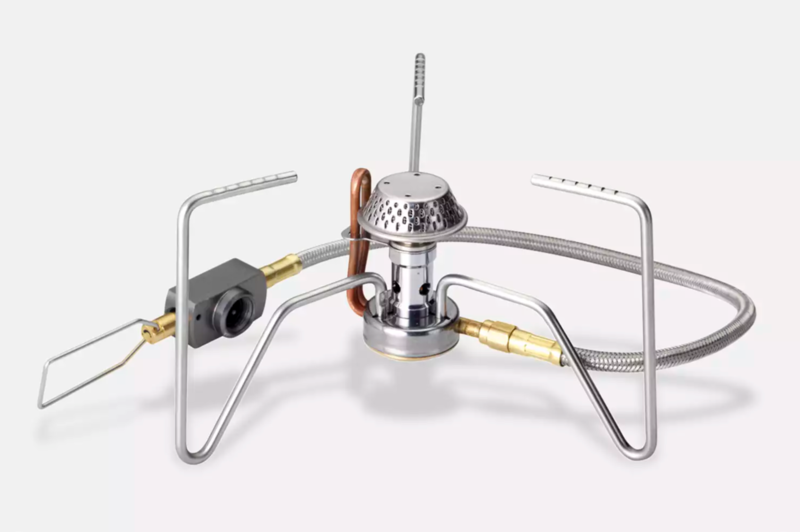 LiteTrail marketed the kit as an “esbit” stove. After testing the efficiency of esbit and comparing it to alcohol in this particular stove, then looking at the weight of both fuels over the 4-days we’d be on the trail and the number of meals I’d be using it, I opted for alcohol. This proved to be a fool-hearty decision. After everyone else broke out their JetBoil’s and had boiling water in two minutes, I was fighting with a Fancy Feast can. I noticed my water just starting to boil from my seat on the other side of our fire. I stood up ready to make the 10-step walk to my stove just early enough to watch it fall over and all my water pour into the snow. This would be one of two times during the trip when my cup would end up on its side. It is defeating to have the start to the trip we did, just to watch my chance at a hot dinner end up on the ground. I started the process again and ultimately got to eat what I refer to as “warm slop”. I hate warm slop. I hate eating out of a freezer bag too. After dinner and some initial chatting, it was time for bed. I started wondering what my wife and kids had for dinner and pictured them readying themselves for sleep in a nice warm bed. I was the exception to the group when it came to shelter options and was also one of the reasons why I didn’t want to deal with 2 feet of snow. Everyone besides me had a hammock. I had a tarp and bivy. I didn’t bring snow stakes and didn’t have the cordage for deadman. I also didn’t have the time and there was very little free space in the forest as it was so badly destroyed. There were pointy branches everywhere and the snow constantly sank. It wasn’t very stable. Instead of setting up my tarp, I decided to cowboy camp in my bivy. My bivy was a custom skunk-work project by GooseFeet. It was cuben on the bottom and sides, breathable cuben at the head and foot, and Pertex Quantum on top. One thing I brought merely to test further was an Exped Synmat UL 7 pad. I rarely deal with inflatables. Although I figured it would be more comfortable, one thing I hadn’t planned on was the fact that its vertical loft exceeded the room I had in the bivy. This meant that I could get the pad (plus a 4 foot length of 1/8” CCF), my quilt and myself into the bivy, but I couldn’t zip it up past my arm pits. So, I was effectively cowboy camping in two feet of snow in a destroyed forest with part of my upper body permanently exposed. That night it reached 9 degrees. Nine. N-i-n-e. In fact, taking a look at the picture, it was probably closer to 6. Hands down, this was the coldest night I had ever camped at least in terms of temperature and not personal coldness. I’m not a winter camper, so perhaps this isn’t monumental for most of you, but for me it was a first which was illuminated further by the fact that I was sleeping on top of the snow without a formidable shelter. There was no breeze and the sky was completely clear. Oddly enough, I was never cold. I had a 20 degree custom Nunatak quilt, some down pants and booties from GooseFeet, a down jacket with a Patagonia R1, and a Mountain Hardwear PowerStretch beanie supplemented with a hood. The stars were amazing that night…and peeing out of my bivy was wonderfully uneventful! Still, my mind stayed active wondering when we could do the type of hike we agreed on. As I lay in the snow listening to the 4 hammockers around me falling quickly into their slumber in what I imagined was a cocoon of fluffy happiness, I thought to myself that this was going to be the best day of the trip and conditions were only going to get worse. We were in the valley and the only place we could go was up. “Up” meant more snow, river crossings and watching my gear get destroyed in a hurricane ravaged area in addition to hoping I don’t twist an ankle on unseen footing. I continued to believe that heading out for a non-snowy trail made so much more sense as we’d actually be able to get in some mileage and see some sights instead of merely fighting the forest and walking in quicksand just to say we did it. Heck, other options, safe options, options we had planned for, were literally just down the road. In the snow, I felt like we’d be constantly fighting it and the downed trees, and let’s remember, all the trail markings (the little piles of stones) would all be buried. The river next to us was also moving quite well form the runoff and I knew we’d need to cross it likely several times if we were going to do much of anything as we were on the boundary already. It seemed senseless. It was like walking into a lion’s den covered in peanut butter and hoping for dog kisses. I was there to hike and enjoy the outdoors, not get in a fist fight with Mother Nature and destroy my gear while testing the limits of my own safety. I felt like I was being a pessimist and a party pooper. I hated to think that I was already mentally out of it when everyone else seemed to be looking forward to whatever the trip turned into. As expected, we packed up and started our fist fight with Mother Nature walking next to the river and trying hard not to hurt ourselves as we constantly lost footing between massive rock formations for which navigation to the trail we were looking for was fairly rough. Oddly enough, after a couple hours we found a cairn and noted that the corresponding cairn….was on the other side of the river. Off came the shoes, up rolled the pants, and our first river ford was underway. My feet were numb after about a minute, literally, and other than somewhat of a shooting general pain, I couldn’t feel them. With exception of the cold water, the danger level wasn’t too great as the flow and depth were manageable even though some of the footing was loose. Either way, I continued to think to myself….why are we pushing into the woods to face worse conditions today and for the next couple days? Why are people so obviously unprepared so eager to test their unpreparedness. Who knows, maybe they legitimately felt like they were prepared. Looking at their gear and even my own, I guess we perceive "preparation", even reasonable preparation, a bit differently. I have pretty weak feet. In fact, walking on sand often hurts. I’m not sure why, but that’s the feet I’ve walked on for 37 years. As a result, year-round I always wear some form of minimal gaiter to keep out scree. I almost always wear GoreTex shoes too, even in summer, as water logged feet seem to have more of an impact to my feet than others and I've never found breathable shoes to be anything more than capable of staying somewhat wet for prolonged periods. I'd rather not be wet at all. Supplemented with Darn Tough socks, this system has worked well for me. It’s a very appropriate system in my opinion, although clearly not appropriate for 2-3 feet of snow. Just before leaving I peeked into my sock drawer and noted I had a pair of GoreTex socks and SealSkinz with Merino wool. I weighed both. The GoreTex socks were 3 oz and the SealSkinz were 6 oz. I figured I’d never need them as we were very unlikely to encounter snow and less likely to encounter prolonged snow. I tossed the GoreTex socks into my pack and stomped out to my car frustrated that I likely unnecessarily just added 3 oz for peace of mind. Before even opening the car door at the trailhead, my GoreTex socks were on under my gaiters and I was wishing I had picked the SealSkinz and had both my winter gaiters and my lightweight winter boots. The friend who invited me asked to borrow a pair of my gaiters before the trip, so I had actually given him a lightweight pair suitable for scree which he was wearing. We were the only two wearing gaiters. I was the only one wearing some kind of waterproof sock. One of our team was wearing cotton socks. Course, the fact that he was wearing jeans was a little more shocking. As a cherry on top, he proved to be one of the stronger hikers both in theory and in reality as I later watched him forge what I would consider to be a fairly dangerous river crossing in tighty-whitey’s and hiked most of the trip wearing only his camo long johns on his legs. He also carried an old external frame pack like my dad and I carried when I was younger. It was good to see. He also was good at making fire and easy with conversation and life experience. As I learned only after the trip while we were eating at a buffet, he could easily put away a meal for a family of 6 on his own, supplemented with a several course dessert, and finished with 4 cotton candies. I'm guessing he weighed about 140 pounds soaking wet. My leg weighs 140 pounds. After crossing the river I was told our goal was to walk to the top of the mountain to try to find one of the campsites from our original itinerary which we would have hit on Day 3 had we started the trip at our original entry point. The plan was to stomp out a circuit up there and ultimately come down, or at least that's what I'm guessing as I usually only knew that we were hiking "this way" and not much else. I continued to be utterly baffled at what we were doing and the conditions worsened quantitatively the higher we climbed. As an added level of danger from the snow and blow downs, the trail we were attempting to navigate ran along a fairly impressive cliff or perhaps ledge where a misstep would quite literally break limbs at a minimum. It was nice to look at and easy to imagine a problem otherwise. We post-holed for several hours, lost the trail here and there, and never seemed to really stop for a break. Two of our team members pressed hard to lead the way while I and the other two did the best we could to keep up. At 285 pounds, I quite honestly found it extremely difficult to walk. With each step, I seemed to sink deeper than everyone where the next closest person in weight to me was at 198 pounds. Having had knee surgery a little over a year ago, I was testing the long term health of whatever I had left in my knee. I was also burning energy rapidly, which for me isn’t good. I am diabetic. I struggle maintaining energy and it comes and goes. I can't summon it and often I need to have a good plan of my day to know how to best utilize what I have. I need to be able to take breaks, supplement with food, and basically treat myself like an engine. It's a challenge and no one except a diabetic understands that war I fight within me just to be as normal as possible for those around me. My body is not only dealing with this condition, but the cold temperatures and the abundance of energy required to keep climbing in conditions that I simply didn’t sign up for. Part of the way a responsible diabetic manages their condition is to know their limitations. As someone who hikes mostly solo, as I get older and more responsible (and weaker), I have learned to put away my pride and machismo and instead focus on making sensible decisions. What we were doing was fun to a degree and something that I could have continued doing...but only if it eventually ended in something easier at some point. That wasn't really going to happen as we were only gaining elevation, more snow, and more challenging conditions. And this was only one day and we had a couple more to go. I personally knew that even if I could mentally persevere or even make it to the destination for that day, my diabetic body couldn't maintain energy enough for this kind of consistently strenuous hike over a longer period of time. The sensible decision was to lose my man-card, regrettable as it may be, and turn around. I finally did what I absolutely didn’t want to do after thinking about it for an hour. We had lost the trail and our two front end team members were doing their best to locate it. They were calling down to me and my friend to pass up our gaiters and my GoreTex socks to help those in front. I had the same thoughts then as I did when we were in the truck on the way up – then what? What’s the point? My clothing, my only protective gear is now being commandeered. For what? And then what? The conditions were only worsening. Even if we made it, tomorrow is another day, and we had another day after that. In an emergency situation I’d have no problem sharing my gear, but we were putting ourselves in an emergency situation and we flat out weren't prepared. I was being asked to hand over the gear I was using, gear that I flatly needed, to someone in jeans and cotton socks so we could go further. It was comical in my mind. So, I spoke up. I said I was done. I focused more on my diabetes than the stupidity of the situation as I figured they’d understand a medical condition more since they clearly had no particular concern about the conditions we were in and the fact that we were very unprepared and had made several extremely risky decisions up until this point. I was being honest, as a diabetic I couldn’t keep up the pace and I needed to make the safe decision to go back down. My fun meter was also running low. I needed to make the responsible decision for myself and hoped that they would understand and wondered if they individually agreed. I honestly didn't personally care if the answer was for me to hike back down alone or if one or all of them agreed with my decision. I did want to avoid ruining their trip though and I really hoped to avoid anything more substantial than a conversation about the topic. After all, I was a guest. I’m sure they had been looking forward to this moment since their last trip and having some new guy whom no one knows derail their make-shift plan would have annoyed me too. They were the best of friends. I was the odd man out. I did the only thing I could do – be realistic and offer them the opportunity to keep going while I said I would go back to the first camp and simply wait for them to return in a few days. They talked it out and decided it would be irresponsible for them to let me go alone. I was trying hard to get a read from any of them which would tell me that they were making the decision as a means to escape the stupidity we had created, but honestly I didn’t see it yet I can’t imagine the decision to go back down was absent of reflecting on where we were, what we were doing, our level of preparedness and ultimately what lay ahead. They made the decision to instead go back down as a group. I felt terrible as any chance for them to gain any semblance of the trip they envisioned was completely gone. I had assumed I would be able to convince them to let me go back down on my own and I was wrong. I was actually the most experienced hiker as best as I could tell and had been peppered with gear questions since we met. Our first itinerary was lost because of the road in. Our second option was now over too and this time it was my fault. I went from being someone they referred to as “Doctor Backpacker” with a certain degree of appreciation and reverence to the weakest link, a fraud, and a walking medical condition that needed to be treated with kid gloves and an abundance of babysitting. The guys I was with were all top notch humans, smart guys, sturdy men of faith with honor and compassion. These were hard-working and reliable team players each with skills and humor which were very welcomed. I cannot disparage their will, intent, character or compassion. I simply felt what they were doing was too risky from a safety standpoint which had deeper impact to me due to my own medical limitations which as I grow older I've needed to learn to respect more and more. Down the mountain we went. I will mention that our two front guys quickly disappeared down the trail and the guy in front of me slipped on the cliff-side going down. I was able to render quick assistance and get him up before he plummeted. He said more than once that I saved his life, which I assume was said jokingly as I’m not sure he was at that point where his life was legitimately in danger, but it is entirely possible that had he not initially stopped his fall he would have continued down. I’m not sure anyone else realized what happened, but it was that dangerous. I joked with him that he was giving examples of what could have happened to me had I hiked out alone. We all had a lot of mishaps and no one really complained as we had increased our risk so much that something was bound to happen sooner or later and none of us would be entirely sparred. We found a wonderful campsite on the bottom of the mountain on our side of the river that we had crossed earlier in the day. The sun had been beating on it all day and allowed me to quickly clear a spot for my tarp. There was grass to a degree. There were plenty of trees for hammocks and even chairs made out of stones next to a fire pit. The view of the mountains and river was remarkable. Spirits were up, well, as much as they could be I suppose considering I was the only one who seemed to get their way. After eating another bag of warm slop, I longed for a nice cup of something warm. I was hoping to drink some and pour the rest off into a bag of instant potatoes I hadn’t eaten. Unfortunately, I was using more fuel than I expected. While I had brought more alcohol than I needed and even two esbit tabs to be used in an emergency, I figured I’d put my cup on a stone in the fire to conserve fuel when given the option. Just as it was boiling after a period of time, one of the guys accidentally knocked it over. I got a quick “sorry”. The problem was, I was filtering my own water while everyone else was using a group gravity system. To get more water meant going down a little bit of a cliff/ledge area with very poor hand holds and lots of loose debris. Water was precious to me at the time and I decided not to try to boil another cup. Ultimately, I was dehydrated the whole trip. As we sat around talking, embers from the fire were flying everywhere. Everyone in our group seemed to end up with a hole in something. For me, it was my nylon pants which had been working surprisingly well and I didn’t regret leaving a pair of soft shell pants at home. My CCF pad was also victimized and so was my hat. There were three seats made of stones at the site which were amazingly Fred Flintstone-ish. Three of the guys instantly claimed each of them. The fourth guy had packed a chair which looked wonderfully comfortable at a pound. I believe this was the first time I had ever known a hammocker to bring a separate chair which I found fairly humorous considering hammockers have a natural chair. I was doing my best to stay out of the way of everyone since I felt like I had ruined their trip. I was trying to be useful gathering firewood, filling up their group water container and not trying to fight for space around the fire despite their clothing and stoves and general gear taking up quite a bit of space. Eventually a pair of shoes were removed from on top of stone which rested on an unreliable pointy stump used to dry shoes. I decided that I would use it as my seat after standing around the whole time otherwise. Being on a rock balanced on a stump was just fine by me. We sat for a while and had good conversation. As a cap to the evening and my general declining reputation, the stone I was sitting on eventually and quite quickly shifted off the stump and I tumbled uneventfully to the ground to the good humor of everyone. I didn’t much care as I was well aware it was happening, assumed it was likely to happen from the onset, and I knew how and where to fall safely. Although not said, I assumed I was now the diabetic-party crasher-fake hiker-and-general-clumsy moron. Just before bed, I decided to hang everyone’s bear bags as a continued show of effort. Without fail, the snowy log I was standing on and the taught line slid across my head slinging my unlit headlamp (Photon Microlight II) off into the abyss of snow, leaves, branches, etc. I couldn't find it. As I was trying to fall asleep, I was sure I was now the diabetic-party crasher-fake hiker-general-clumsy moron-gear destroyer-and now loser of my headlamp. I had another around my neck next to a whistle I always carry, so I wasn't really at a loss. But it was just one more thing. That's another thing I like about this light, it is so lightweight, carrying a backup is a non-issue. I woke up to find a ton of condensation under my tarp, on my bivy, on my quilt, and around my pad. This would be a trend for the next day too along with being relatively unable to sleep almost the entire time because of back pain and general discomfort. I’m perplexed at where all this water was coming from and why I am so uncomfortable. Any more time on this trip without having a few minutes of sun exposure to dry them out would have compromised the down. I had a good lesson in the benefits of synthetic insulation on this trip and also a personal lesson on how spending a significant amount of money on what I believed to be a flawless sleeping system was quickly proven to be untrue. The following morning there was some debate as to what we should do. The options on the table were to all go day hiking and leave our gear, for everyone to go day hiking and for me to watch the gear, or for us to head upstream and try to connect with another trail and find another campsite. The decision was made to hike upstream with our gear and add some adventure to our trip. At this point I had no voice to offer an opinion, but I didn’t look forward to guessing our way through the area looking for a trail. I wasn’t a party-pooper, I just wanted to find some success and get moving. I wanted to find the actual trail and start following it on the valley. I was tired of beating up our gear, making educated guesses, and trying to find footing with every step as we attempted to walk along the river. We all packed up, sloppily went down the cliff along the river, and began the fight along the river to get to our next unknown destination. The path was treacherous. Footing was non-existent. Handholds were thorn bushes and there were no flat areas. We dodged down trees and jumped from rock to rock hoping each step would hold us. We had another river crossing which was a bit more challenging, but equally as cold. I accidentally left my water shoes behind which was quickly brought to my attention and made me feel irresponsible. Hiking in these conditions left me frustrated. My gear was getting torn up. My hands were fairly well scratched and I know quite a few branches had taken hold of my pack. My lightweight gear was never designed for bushwhacking. My feet were water-logged from the conditions, heavy, and surprisingly still warm, but I also knew that I had few options when it came to having this issue improve. Then, it happened. In the blink of an eye, my right leg dropped down in between two large rocks trapping my leg and completely knocking me off balance. In the milliseconds it was happening, I was 100% positive that my leg at about mid-shin level was going to break completely and solidly. There simply was no way for me to stop my momentum and my foot was completely caught. I was actually waiting for the break and even had already thought about how in the world I was going to get out, wondering if there was a local helicopter, thinking about how much more I ruined the trip, etc. As if God was taking pity, my Gossamer Gear Lighttrek 4 pole in my right hand caught a rock just at the last second after sliding itself. The pole bowed heavily – and snapped completely – but not before giving me a sliver of time to save my leg. My leg was fine, my pole was not. It was completely destroyed. I was so angry to be put in the position I was in and now one of my favorite pieces of gear was ruined and my leg had a very real chance of being broken. The poles were also a piece of gear I really needed considering what we were doing and the poor footing. It didn’t take long for everyone to see my poles sticking out of my pack. I assumed I was now the diabetic-party crasher-fake hiker-general-clumsy moron-and gear destroyer. I opted to not use the one pole I had for the rest of the trip because I felt less stable being unable to use both hands trying to navigate through the labyrinth of chaos and being able to more directly grab things was of greater use than trying to use a single pole. We eventually stopped for lunch on the river. It was probably 60 degrees and quite wonderful. The river was noticeably picking up in intensity from snow melt. Considering how long it took for us to get to our lunch destination, our two front end team members decided they wanted to go packless up river to see if they could find the trail and possibly another campsite. To our surprise, they found it. They had a walkie-talkie and so did we. They told us the site had at least two feet of snow and wasn’t dug out at all. There were also no seats next to the fire ring. After some discussion, a decision was made to head back to the site we just left. I was told to hike back alone as quickly as I could in an attempt to claim the spot in the event that there were other hikers in the area. We had seen 3 other groups, so there was a possibility we’d lose it and a real possibility that we’d need to find another option in fairly tough conditions. This could have proven to be extremely challenging. I found it a bit odd that a day earlier everyone was uncomfortable with me hiking alone just to find out this day that it was encouraged. I looked at this an opportunity to try to do my best to gain some favor. I went through some thickets and used a trail we were supposed to be on all along which we had found just before reaching our lunch area. It was passable and a non-issue compared to what we had been hiking in. I was off at my pace doing something I’ve done for years – covering distance, being safe and having a good time. I flew to the river crossing directly in front of the campground. I saw no smoke or movement on the ridge and was entirely prepared to go sloshing across the river in my full foot gear if it meant getting there before anyone else. With no one in sight, I was able to put on my minimal water shoes, ford the river and secure the site. Throughout the day I had been gathering tinder as I walked along picking up anything resinous and cotton-like. I walked up to the fire ring for which we threw snow on before leaving and immediately started trying to get an ember. I found one, albeit small, and quickly blew on it to get it smoking. Within minutes supplemented with the contents of my pocket, I had the fire raging. It was beautiful and I thought to myself of the accolades I hoped to gain from securing the site and getting a fire started by the time the others arrived. For the first time, I also had an opportunity to try to dry out my footwear. I had my shoes, socks and gaiters on a branch over the fire and each were drying out nicely. One of the guys showed up, the firemaker and carrier of the group water filer, and he was excited to see what I had accomplished. He even mentioned being surprised at how fast I moved because he was trying to catch me. I felt I had gained a little competency back in that moment and it was also confirmed that he thought of me as a bit slow or at least somewhat incompetent. As he was setting up his hammock, I continued to try to be useful to the group. I gathered firewood and asked him if he wanted me to fill the group bag of water. With water containers in hand, I jumped down the ridge and got water for everyone. On the way up I was thinking to myself that this may have been a turning point. As I was sticking my head up over the ridge looking for handholds in the last few feet, I noticed that the only guy who had made it to camp had dragged a huge log and threw it into the fire then quickly disappeared to get more wood. I watched the log lift the whole pile of wood causing the flames to get much higher than when I left it. By the time I got over the cliff and back to the fire, the front of my socks were completely burned through halfway up the foot and my gaiters were fire stiff. The tongue on my shoe was slightly burned. As if by clockwork, the rest of the group showed up to enjoy this moment. I stared to put my shoes on again, gaiters and my second pair of socks which was exactly like the first (I tossed the burned pair in the fire as they were literally that destroyed). As I was pulling up my fire stifffened gaiter, one of the guys in the group watched as my gaiter split down the seam rendering it useless. Once again, based on the stares, I assumed I was now the diabetic-party crasher-fake hiker-general-clumsy moron-gear destroyer-incapable of remembering my own gear-and burner of gear. Later that night my friend asked me to use my watch to time his cooking. I only wear my watch hiking and despite an abundance of features for a Suunto Core, I only use the time, date, barometer, elevation, temperature, sunrise/sunset and maybe the alarm. I don’t rely on the compass and I really don’t use the other features. As I was messing with the stopwatch feature, somehow I locked up the watch, something I didn't even know was possible. A little padlock icon appeared and effectively shut the watch down from doing much of anything. So yes, add “doesn’t know how to use his own watch” to the list of my perceived foolishness. I don’t think the guy who caused my socks and gaiters to get destroyed actually realized what happened and I didn’t say anything. Oddly enough, as I was setting up my stuff a little later he made me a stone seat which I’m still not entirely sure how he was able to do it. Either way, it was a nice gesture. Campfire talk that night was upbeat knowing we had secured a great site that everyone preferred. I still wondered how discouraged the group was considering their hike was derailed and further wondered if they were enjoying much of anything. The weather was far more welcoming and tomorrow we had a fairly easy out to get back to the car ensuring we’d all be home on time. When I woke up the next morning I could hear the river. It was far noisier than it was previously. The warmer temperatures from the previous day had clearly melted snow and raised the river. Looking down over the cliff, I could clearly see that the ledge where I had gathered water earlier was completely gone. The water level was high, and fast. It was unsafe. After packing up, I decided to walk over to where I had lost my headlamp the night earlier in was last hopeful effort to possibly find it. In a stroke of luck, I miraculously walked right to it. Thankfully, even if it is only $10-$15. It was a small victory. Cross one moronic thing off the list boys and only a couple dozen more to go. Because everyone needed to be home at different places throughout Virginia, we knew we had to be out of camp by 8:30am and to the car by 10:30am. As a lightweight backpacker, I was able to pack up far more easily and was always ready to go long before everyone else. Because the changed river posed a new problem and I still needed to get on my water shoes, I decided to leave early to be ready for when everyone else got there. I was only a few dozen feet down the trail when one of the guys held up an Evernew bottle and asked if it was mine. It was. I had set it on my seat after giving someone else some of my filtered water and didn’t put it back. Yet again, I forgot something else. So, add that one to the list. The river crossing was a fair test of safety. I’m sure there are plenty worse, but it was sufficiently dangerous for us. None of us took it for granted and we all easily worried about one another. The water was freezing, but it was also moving quite well and footing was shaky. My toes were already pretty beat up from rocks that rolled over them during our previous crossings. We were very happy to be crossing it when we were and expressed concern for two other groups whom were further up the mountain and we knew were staying for a couple more days. As I recall now, I fear what they will encounter when they do try to leave as there was no easy crossing anywhere we walked. I balanced myself on a stick and was thrilled when the guy who invited me found a shelf that was far easier than the area where our first guy crossed. When standing in the middle of the river and having an honest fear for your safety, feet frozen, and leaning forward on a cold branch on stop of shifting rocks, it is exuberating to find the slightest bit of somewhat guaranteed hope. That ledge made a colossal difference and we all got to the other side without incident. We then each fought personal demons to get our footwear back on as our feet were flat out ruined. In fact, it took the hike all the way back to the car for any of us to start feeling our toes again. I recall it feeling like I was walking with cinderblocks on my feet. After the river, we followed my footprints back to the path I had used the previous day when racing back to the campsite. We each stomped easily back to the car wishing that the trail we were on were available earlier and likely would have changed the outcome of the trip. We hopped in the car just before 10:30am, right on time, for what would turn out to be a roughly 5 hour trip home much of which would be through winding West Virginia roads. In the car there were four hikers chatting about life and one hiker, me, leaning up against the door with the window cracked doing my best not to barf as I get motion sick quite easily. And yes, you guessed it, I assumed I was now the diabetic-party crasher-fake hiker-general-clumsy moron-gear destroyer- incapable of remembering my own gear-and weak willed motion sickness influenced wuss. I sprang for 5 at Golden Coral, the first buffet we could find once we entered Virginia and escaped the vomit inducing roads of West Virginia. In total my bill ran just shy of $90 and I didn’t get a lot of push-back after offering to buy lunch considering I ruined their hike. Everyone was appreciative for the meal however and on one level I was happy that I didn’t need to spring for a hotel or cabin. While eating, I was also able to get out two thorns which were embedded in my hands from the previous day. That felt nice and I was appreciative to only have several scratches at this point and not souvenirs under the skin. After that, I started messing with my watch and somewhat accidentally figured out how to remove that little padlock icon thereby returning my watch functioning to normal. Small victories which I’ll welcomed at this point. I got home exhausted, overwhelmed, interested in hot food and very chatty. My wife had a lot on her hands. I had already texted her after crossing into Virginia with some details of the trip. She was compassionate and hopeful for me, although privately always worries both about my hikes and specifically how I can manage my diabetes especially considering I normally hike solo. It was good to be home. Funny enough, even though the trip was a complete failure for me personally principally because I think I negatively influenced others whom I felt were all a good group of guys to be with, I couldn’t help but find much of it to be quite fun. It was a learning experience for sure and I enjoyed the sights and bonding amongst good people. I find myself wondering what they would have accomplish if I wasn’t there, or more likely in my opinion, what dangers they may have encountered which may have not been as forgiving. Either I was the voice of reason or the weakest link and one way or another I didn't help my cause with the seemingly endless string of problems with little things here and there. I continue to love backpacking despite the obvious hardships. As soon as I got home and began airing out my gear, I started making notes on what worked and what didn’t. I regret and assume that I won’t be invited back and hope I didn’t burn bridges with my friend. This is probably my biggest regret as I know few groups of hikers with whom I'd feel comfortable and I hate knowing that I likely ruined my own opportunity. In the snapshot of time that I was with this group, I guess I’d share the same opinions of myself that I perceive they have of me. Who knows. They had their problems too, but I seemed to be a clown car. Course, perhaps I was also the only person willing to speak-up and bring attention to the risk we keep increasing for ourselves. Either way, I’m glad I didn’t end up on the top of the mountain or worse and I like to think that maybe, just maybe, by speaking up somehow everyone walked away in better condition than they would have otherwise. I continue to wonder if anyone supported my decision to turn around. Although a whole other lengthy blog could be written about what went right, from a gear standpoint I’ll make a couple of points. My Zpacks cuben Blast performed amazingly. I continue to be amazed at how well that thing takes abuse and rides comfortably. I was wearing a brand new Patagonia R1 (no hood) and deep chest zip. It was the only XXL I could find and arrived the day of my trip. I wore a lightweight base merino, the R1 and a Patagonia Houdini as my hiking outfit and took on or off items as I needed it. I was amazed at how well this system worked and can’t say enough good things about it. I sweat a lot and it seemed this system worked so well that I never, not once, changed into a Capilene layer I had for sleeping. I’ve never had this happen before. I find myself wondering if I needed the merino base at all. I used a Mountain Hardwear PowerStretch beanie for the first time. It is a nothing beanie weighing only slightly more than my nothing BPL merino beanie which has very limited functioning. Despite assuming I was going to be cold, I found myself wearing it while hiking and while in camp without any concerns. My Headsweats baseball-style hat even fit over it. When sleeping, I supplemented with a lightweight hood when necessary. It was remarkably functional. I've heard that PowerStretch is 30% warmer than other similar fabrics which is a gain I'll be happy to take. I continue to love my few gram Photon Microlight II. It weighs nothing and costs nothing. I was surrounded by people with expensive headlamps all which preformed wonderfully. Although I longed for a red light and the ability to have some variance, the bottom line is that this little light throws enough of a beam for most any realistic activities. I absolutely hate the on/off switch though and wish there was a headband option and I wish it were made in a bright color. Despite breaking my Gossamer Gear LightTrek poles, I can’t say enough nice things about how this lightweight pair of poles handled conditions well beyond what it should. They have served me well for years and are generally a great conversation piece to bring people into the lightweight world. In this case, they literally saved me from breaking my leg. Call it nostalgia, but I’m fixing the pole that broke and I plan to use them in the future. All my other clothing performed well. My pants were simple nylon and I never had an issue. They were exactly what I needed and nothing more. My footwear choices never failed me despite ridiculously unsuitable conditions. Down booties and pants supplement anything well. PossumDown gloves were all I needed and I never needed to supplement with my MLD eVENT mitts, although I have no doubt they would have been ruined at some point. I find myself concerned about my bivy and generally staying dry. At this point, I feel it is unreliable and don’t know why. I intentionally had a sil top to ensure it breathed well and I don't know whether I was dealing with condensation or leakage. I also find myself strongly thinking about hammocking. The luxury, dryness, comfort and seating the rest of the crew experienced was night and day from the world I was living in during the hike. I have a lightweight hammock system and I may just need to force myself to use it. I see no better alternative when there is snow and this includes avoiding pyramid-style tents as I just don't fit in most tents including pyramid's. I realized how much I hate warm slop on this trip. I really must find alternatives to eat something other than a liquid with mush inside. One of the guys was carrying a French baguette, cured meats and homemade venison jerky – and I was exceptionally jealous. I think I’m reaching the point where I’m willing to carry extra food weight. It mattered far more to me in this climate than in 3-season temperatures, so perhaps this is a consideration for future winter hikes. My lunches were Pepperoni, summer sausage, Laughing Cow cheese, mayo and a tortilla. It was wonderful and hearty which I looked forward to each day. I’m almost of the opinion that I don’t need a stove and would rather just eat something like this for every meal even if it meant not having something warm to drink or perhaps only minimizing my needs for having a warm cup of something and nothing more. - Stoves matter in the conditions we were in. Unless perhaps I’m using a cone system, I’m not using alcohol again in winter. I'm guessing esbit would have been equally challenging. As for me, I'm humbled, disappointed in myself, and regretful of negatively impacting others. It takes failures to learn and progress, so I do take it all in stride even though I do hate disappointing others. But I’m already planning my next trip and hoping I can squeeze an overnighter out of the Thanksgiving weekend. What can I say, I’m addicted.